Office Location: Allen, TX. Employees can also work full time from this office. Take a look at what our CEO has to say! We are currently seeking a Salesforce Commerce Cloud Technical/Solutions Architect to work as part of our team. In this position, you will work collaboratively with the sales team, other delivery consultants, partners and sub-contractors to successfully scope and implement customer solutions. 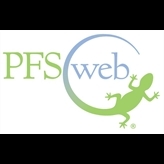 PFSweb, Inc. is a leading provider of eCommerce and multichannel outsourcing solutions for global consumer brands, online retailers, and technology manufacturers. We provide a broad range of services, including eCommerce technology, order management, customer care services, financial services, global logistics, and fulfillment services. We craft fully integrated solutions that are custom-tailored to each client's unique set of requirements to create Commerce Without Compromise. Our solutions provide optimal customer experiences, high-performance operations, cost savings, easy entry into international markets, and client freedom to concentrate on core competencies. We expertly serve both direct-to-consumer (D2C) and business-to-business (B2B) initiatives, providing services to more than 60 clients who operate in a range of national and international markets including technology manufacturers, apparel, luxury goods, home improvement, home décor, collectibles, food & beverage, beauty & health, aviation, and consumer electronics, among others. o Ensure high quality service for existing clients. o Acquire new clients with founded brands, business strategies, and financial stability. o Hire, train, and retain high quality professionals and industry experts. o Innovate with new technology and operational capabilities. o Control overhead costs while we focus on adding new business. As part of the Demandware/Salesforce Commerce Cloud pre-sales and post-sales phases, architect and design leading ecommerce solutions that support industry leading best practices in technology, features, performance and scalability. Lead teams of Implementation Consultants comprised of PFSweb, Demandware/Salesforce Commerce Cloud customer resources. Provide technical direction and guidance, development oversight, and support the successful delivery of projects. Responsible for the technical design of client solutions. This includes a lead role in project discovery and definition workshops, creating scope and development estimates, and documenting requirements and designs. Coach and mentor customers and developers as they learn to implement on Demandware/Salesforce Commerce Cloud. Contribute to on-going process and methodology improvements within the team. Previous Demandware/Salesforce Commerce Solution Architecture experience designing and implementing complex enterprise applications in B2C eCommerce, ERP, CRM, or similar. The ability to quickly learn new concepts and technologies and convert them into customer solutions. Direct customer facing and implementation delivery experience in a Consulting or Professional Services organization. Prior experience leading and working with geographically dispersed development teams. Experienced with web technologies, J2EE, Java, SOA, application servers, portal servers, middleware, ecommerce, enterprise application integration, databases, security, performance & scalability. Experience with ATG, or other e-commerce platform a plus. PFSweb continues to be at the forefront of technology and online market trends. We provide solutions for both large and small companies to maximize their brands across multiple channels. PFSweb is partnered with the Demandware, Oracle (ATG and Cloud), SAP (Hybris), IBM (WebSphere & Cloud), and Magento. Demandware provides a highly customizable ecommerce application suite with the cost benefits and scalability of software delivered as a service. From start to finish, PFSweb, brings you full circle in your exchange with smooth interactions, precise branding, and the reliability that your customers have come to expect.